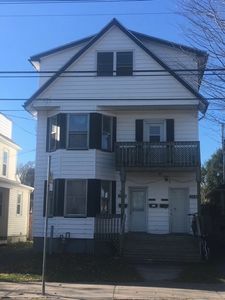 2536 Windsor Street, Halifax (MLS® 201826962): Income Property Opportunity in the Heart of the city! This triplex features three good sized bedroom units on each level, with spacious, bright living spaces. Each unit has its own dining room, living room and kitchen. All units have their own laundry facilities. Second level laundry is in basement with direct access from unit. The main level (2534 Windsor Street) has a rental income of $1485. The second level unit (2536-2 Windsor Street) has a rental income of $1450. The top level unit (2536-3 Windsor Street) has a rental income of $1485. This property is a solid home with lots of charm and character. Many upgrades have been carried out over the years such as windows, electrical, plumbing, conversion to natural gas (two units natural gas, top level electric). There are three separate hot water tanks for each unit and three power meters.